Ready to find the best skiing holiday you’ve ever had? Whether you’re in the market for cheap skiing deals or a bit of skiing in the alps during your winter holidays time, we can help. With some of the best packages in the industry and deals that won’t break your holiday budget, you simply can’t do better than booking through Find Ski Holidays. Dreaming of Andorra? There are 5 great ski resorts, and we can help with booking at all of them. Thinking Austria? You have 66 resorts to choose from. In fact, chose from almost 600 resorts across 46 countries with our booking services. We even offer weather reports, piste information, and the best lodging info on the web with each resort. Don’t bother visiting hundreds of websites when you could work through just one – Find Ski Holidays! If you’re like most of us, your holiday budget is only so big. Why waste it with an expensive trip to a resort that may not pan out in the end? Choose one of our packages, and we’ll help you keep a bit more money so you can grab a great souvenir before you head home. There’s nothing quite like having all of the tips and advice you need in one place, and Find Ski Holidays has that and much more. With a blog that’s packed with info for novices and advanced skiers alike, a helpful newsletter that even contains updates about new packages, and lots of resort reviews, you’ll find everything you need right here. Don’t even begin to consider booking skiing holidays packages without us. No matter what kind of skier you are, who you might bring with you, or where you want to go, we can help. Start booking your trip now! 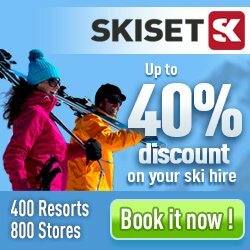 Follow us onTwitter and receive all latest updates on ski holidays. Do you know when start work www.transfers.ski ?